Few people start a marriage expecting it to end, but for many couples that is the unfortunate reality. No matter how long your marriage has lasted, getting a divorce can be a challenging ordeal. Coming out the other side in a healthy position both financially and emotionally requires the assistance of an experienced divorce attorney who is prepared to fight for your rights. 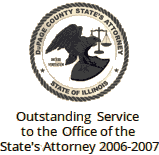 At The Stogsdill Law Firm, P.C., in Wheaton, Illinois, our entire staff will aggressively advocate for our clients' best interests and the interests of their children throughout the entirety of the divorce process. Even in an uncontested divorce, there are many details that need to be worked out. Our attorneys are skilled in helping clients sort through all aspects of their dissolution. We assist clients in prioritizing their objectives and focusing on the most important areas of their divorce proceedings. 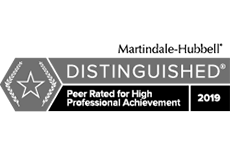 We are aggressive negotiators dedicated to obtaining the best possible divorce settlement for our clients. Litigation becomes necessary when spouses are unable to reach an agreement. 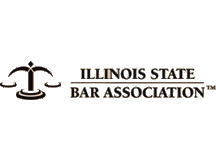 We thoroughly understand Illinois law and have established a strong reputation as tough litigators within the legal community and beyond. We are always prepared to forcefully represent our clients' rights before a judge. Our attorneys have extensive experience in parental responsibility or custody matters and are certified guardians ad litem. Our lawyers will advocate on your children's behalf. Our attorneys frequently receive referrals from the opposing party in our cases as they wished they had hired our attorneys to represent their side in the courtroom. Questions about your divorce case? We have answers. Learn more about what to expect during divorce and what factors to consider when hiring a divorce attorney. Experienced legal representation can make all the difference if you are contemplating divorce or if your spouse has already filed for divorce. Our attorneys are dedicated to guiding you through this journey with the care, attention and zealous representation you deserve. To arrange a consultation, call 630-462-9500 or contact us online.